Obviously not every case has alimony and child support issues, but those divorce clients that do should be aware of some basic income tax issues related to support. Child Support is the amount of money paid by the non-custodial parent to the custodial parent for the support of the children. In Massachusetts, Child Support is calculated using a formula called the Massachusetts Child Support Guidelines. Child Support is NOT taxable income to the recipient, and is NOT tax deductible to the payor. Alimony, also called spousal support, is paid by the wage-earning spouse (the spouse who has traditionally earned the majority of the income during the marriage) to the non-wage-earning spouse to allow the non-wage-earning spouse to continue to live in the lifestyle to which he or she has become accustomed during the marriage assuming their is enough income to do so. Alimony is income to the recipient and should be included as taxable income on the Recipients state and federal income tax returns. Alimony is tax deductible to the Payor, and sometimes even payments made on behalf of an ex-spouse, such as health insurance payments may also be tax deductible. You should consult with an attorney to discuss the specific facts of your case if you think you might be making other payments which could be tax deductible as well. What happens when a case warrants both alimony and child support? Just as there is no formula for calculating alimony in Massachusetts, there is also no bright-line rule for breaking down how much of an order should be alimony and how much should be child support when a case warrants both. The interplay of these two figures can be very complicated because the tax effect to both the payor and the recipient is very different depending on how a support order is broken down. For more information about the possible ways of dividing support orders review our blog post: How can I calculate Child Support AND Alimony? Click here to read Divorce and Taxes: Issue #3. Child Dependency Exemptions. How do you read the new alimony reform bill on the interplay between child support and alimony? It says that gross income which the court has already considered for setting a child support order shall be excluded from income used to calculate alimony. I've heard that this means that if the payor earns up to $250,000, there will be no alimony ordered in addition to child support. Your thoughts? Anonymous, this is an interesting question and one of the reasons I think the new bill is not perfect (though certainly an improvement on the current law). The section indicating that gross income considered for setting a child support order will not be included for use in calculating alimony is ambiguous. I don't think it necessarily means that the payor earning $200,000 wouldn't pay alimony. A Judge could decide to take the first $100,000 of the payor's income and use the child support guidelines and then take the second $100,000 and use it to determine an alimony order. Thereby creating both an alimony and child support order and possibly reducing the tax burden on the payor and shifting some of that tax burden to the payee. The proposed alimony reform bill does not provide guidance on exactly what this section means and we will have to wait and see how Judges enforce it if this bill becomes law. Indeed, this issue is very complicated. I'm all for doing your own divorce, but when issues like alimony and child support come up, I would also suggest that you should seek help from a good divorce attorney. I'm sure that a lot of people have something to say about this issue, so I've just bookmarked this blog post on StumbleUpon, Delicious, Digg, Reddit, and Google Bookmarks. Also, I actually have an article about alimony. 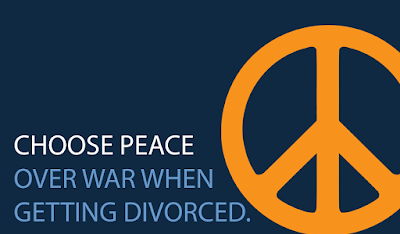 To read it, visit this link: http://californiadivorceforms.org/california-divorce-alimony/. Thank you so much and I'm looking forward to more posts from you!